Tinnitus, the perception of noise such as ringing in the ears, is a mysterious condition that has many causes – and sometimes, no apparent cause. Mostly commonly, it’s caused by hearing loss or at least things that can cause hearing loss, such as head injuries, diseases, infections or medications. Sometimes tinnitus comes and goes on its own, and doesn’t affect a person’s daily life. Other times, it can become a chronic, debilitating condition. Even if it seems like there’s still a lot about tinnitus the medical field cannot explain or provide, including a one-size-fits-all cure, there are tinnitus experts – audiologists. These hearing doctors are fully trained to address tinnitus by diagnosing and treating its underlying causes, providing treatment through medication, assistive devices and therapy, and helping individuals live their best lives in spite of it. If you schedule an exam with an audiologist for treatment of tinnitus, here’s what to expect. The first thing an audiologist will address is your hearing by conducting a comprehensive hearing exam. Various tests such as speech recognition, a pure tone audiogram, a tympanogram, acoustic reflex test and an otoacoustic emission tests may be included, depending on what the audiologist suspects from your symptoms. Tinnitus sound matching: The audiologist will play back and ask you to identify what you might be hearing to help them further evaluate what you’re experiencing. This test is important to providing a customized therapy plan. Loudness discomfort level: The audiologist will play different volumes and ask you to give feedback on how they affect your comfort, since some tinnitus patients become extra sensitive to louder noises. This also helps them determine which sound therapies, masking devices and hearing aid options might be best for you. Minimum masking level: This helps the audiologist determine the minimum volume of sound it takes to mask (cover) the tinnitus symptoms, and is useful for calibrating sound therapies that can help you cope with it. Depending on the suspected cause and severity of your tinnitus, an audiologist may also perform (or order) other tests. 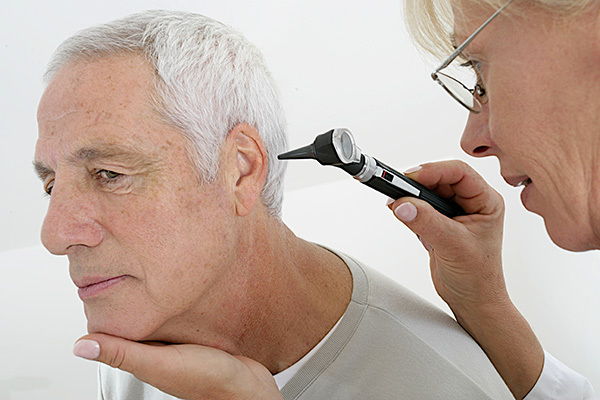 In some cases, an audiologist may even refer you to an ENT doctor for further medical testing. Tinnitus is not “curable,” but the underlying causes of it often are. By letting a professional audiologist handle your hearing condition, you’ll receive a customized treatment plan that, if possible, identify and eliminate the source of the problem. In all cases, they’ll provide the resources to help you cope with its symptoms in your daily life.